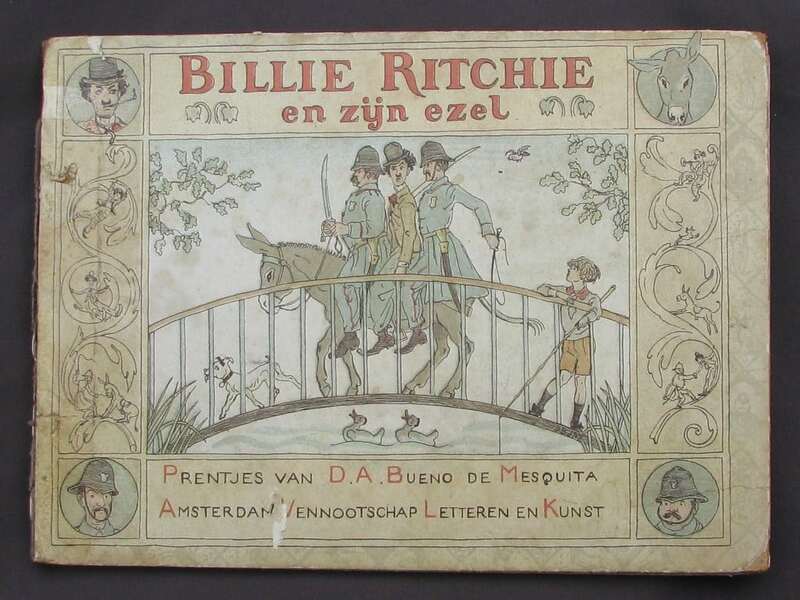 Prentenboek BILLIE RITCHIE EN ZIJN EZEL door David Bueno de Mesquita uit 1918. 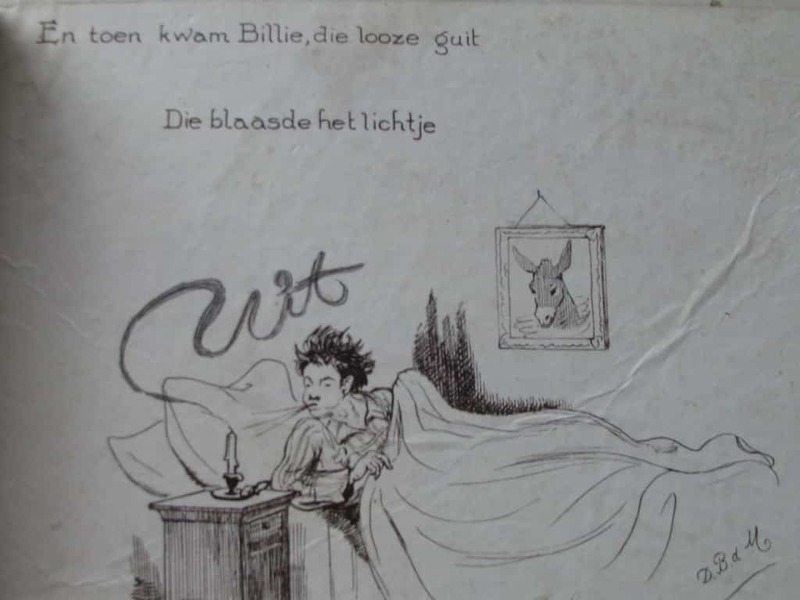 Picture-book BILLIE RITCHIE EN ZIJN EZEL by David Bueno de Mesquita from 1918. 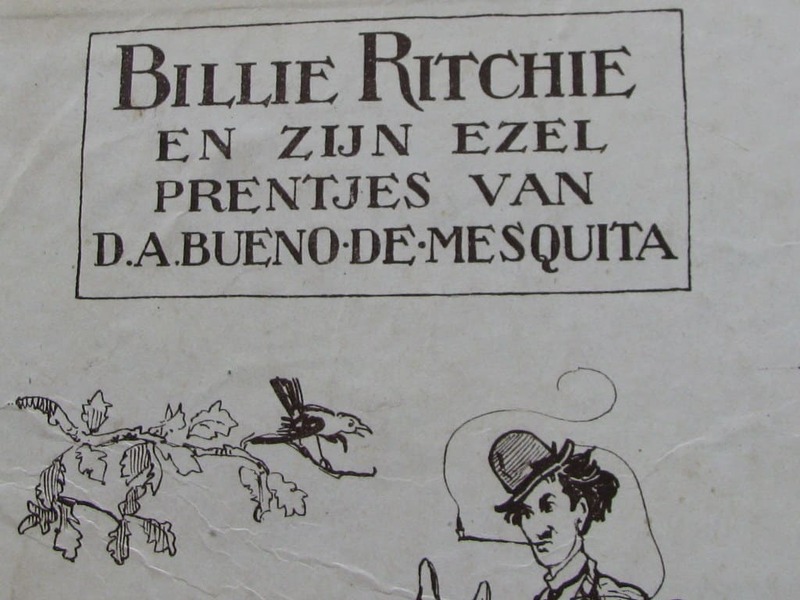 Billie Ritchie (1878 – 1921) was a Scottish comedian, who later became also famous in the USA. The resemblance to Charlie Chaplin is not accidental. 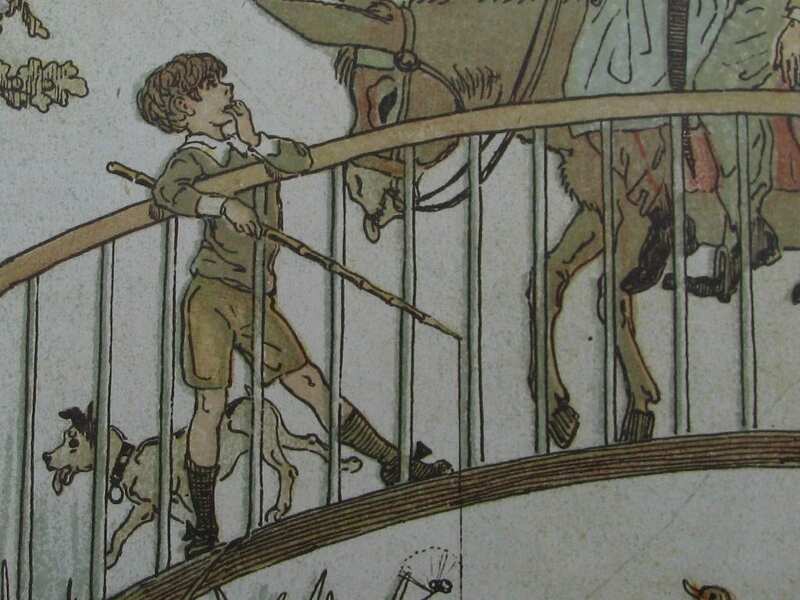 Ritchie claimed even that he was the creator of that character. 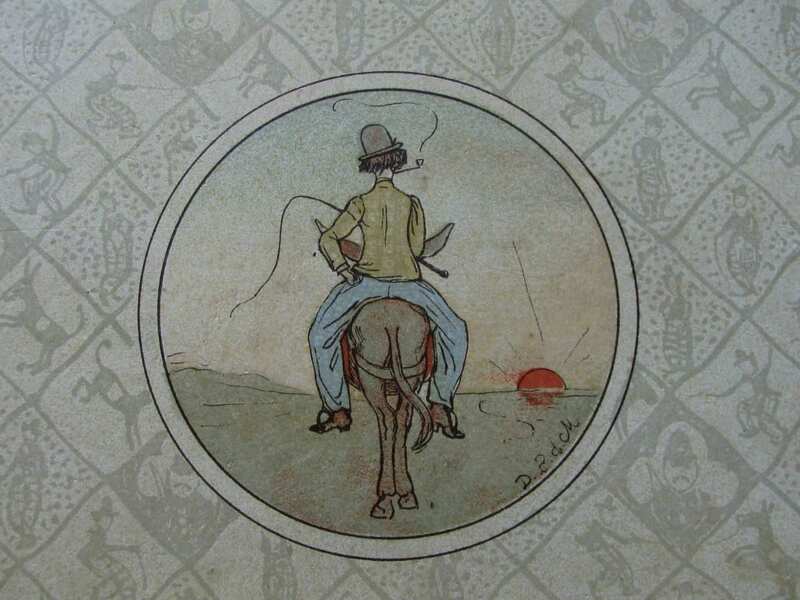 The maker of this rare picture-book is the Jewish artist David Abraham Bueno de Mesquita (1889-1962). 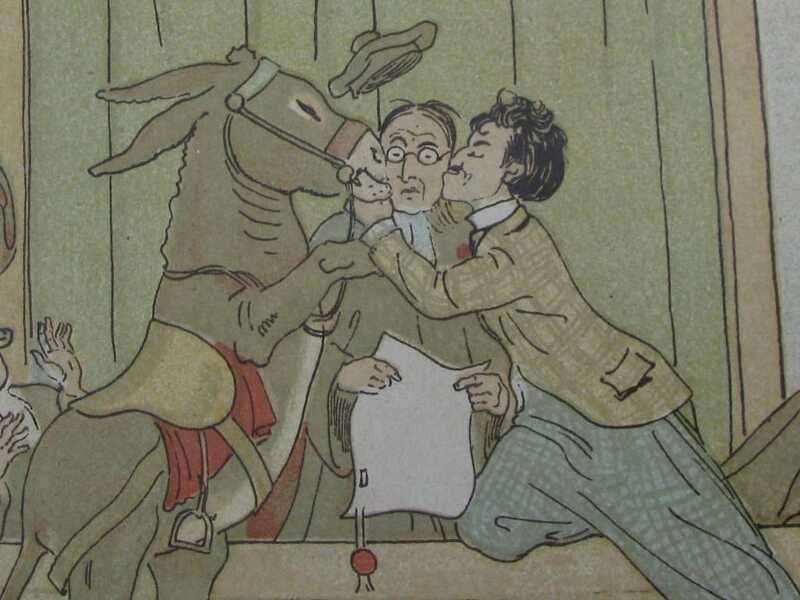 He studied at the Rijksakademie in Amsterdam and won the Prix de Rome in 1913. 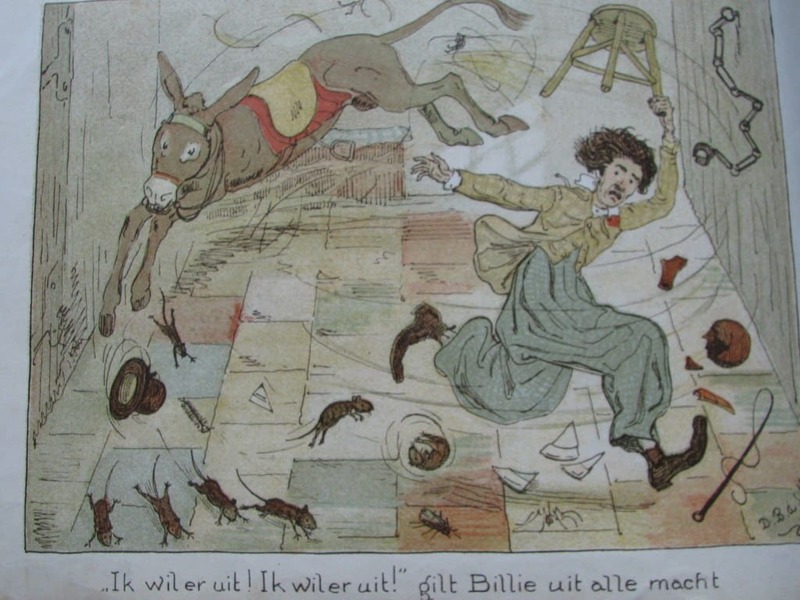 He is best known for his illustrations in the early Dutch (child)books of Peter Bell. 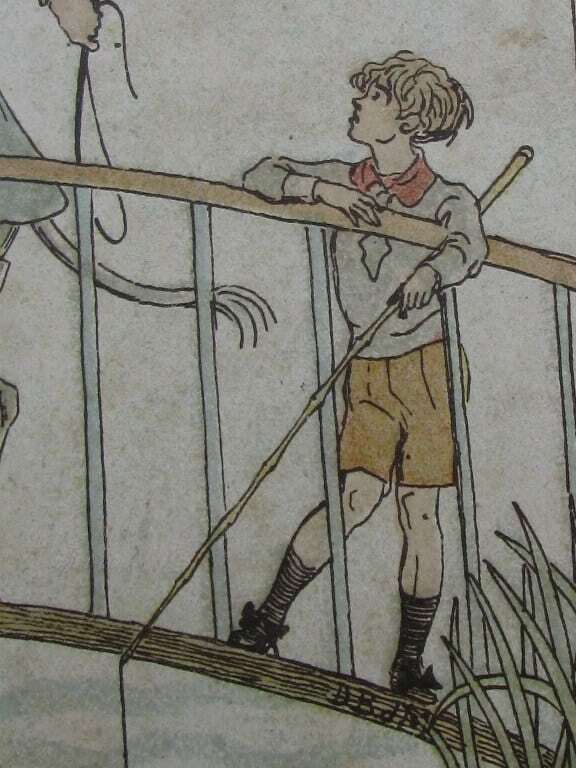 In 1929 David emigrated to Florence, where also his older brother (Henri Jacques Bueno de Mesquita, 1887-1962) lived. David painted often at to the coasts of Tuscany and Liguria (Viareggio, Stazzema, Portovenere and Sestri Levante). His works show that he had a good eye for male beauty.